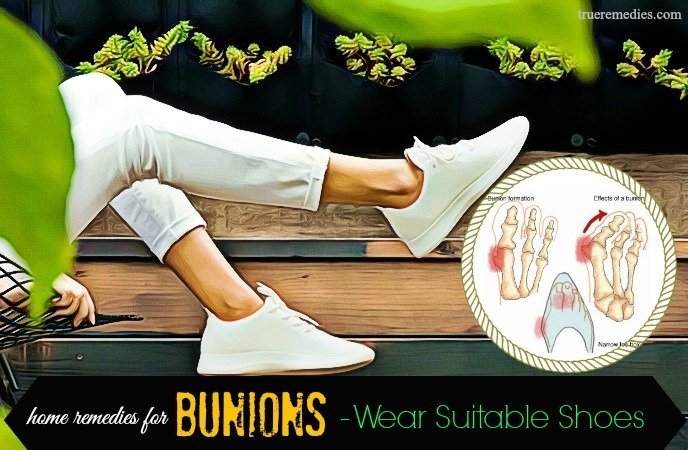 What Is Bunions On Feet? Who Is At Risk Of Bunions On Feet? Bunions or Hallux VALGUS is a type of foot deformity. This is a lump forming on the side of the big toe when your big toe begins to point towards other toes. The bunion causes discomfort and pain and causes the feet to be ugly. The skin on the lump of big toe may be reddened, blistered or inflamed. This is not only a cosmetic issue, but it is also a sign of dangerous joint disease. At first, few people notice because of abnormal expression located at the foot and covered by shoes easily. Only when the toe is too large or the appearance of pain, the patient is new to the examination. More common of bunions is the case of using high heels, shoes for years. Many people are crooked in the big toe too much which is unable to put legs in sandals. Therefore, the treatment of bunions on feet should be done as soon as possible. 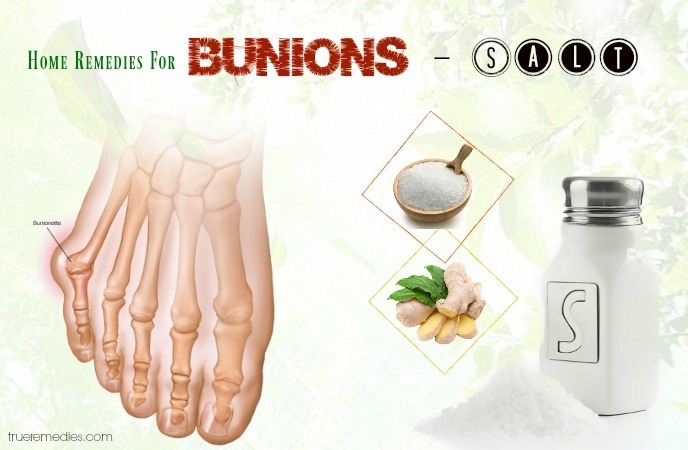 This article will introduce the natural home remedies for bunions on feet for you. Applying them can give you amazing results. However, let’s take a look at the basic information about bunions first. 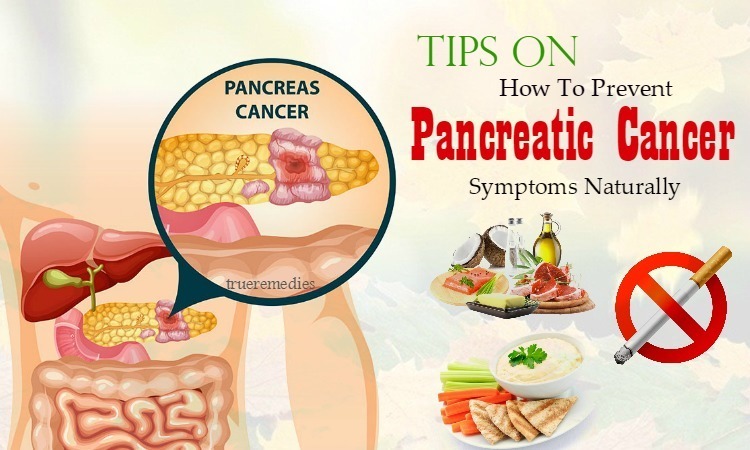 This is important because it helps you to identify the cause of this disease as well as your current condition so that you can take measures to prevent or treat it appropriately. A Bunion is a developmental disorder of the joint. It starts with the joint of big toe, then gradually changing the angle of the big toe bone. Over the years, it slowly appears some bumps between the big toe and other toes, which are becoming more prominent. Symptoms of bunions usually begin to appear in the stages after an incubation period and may also not show any symptoms . A bunion is a lump that forms outside of the big toe that makes the big toe develop in a wrong way. The word bunions come from the Greek word meaning radish. At the time of bunions, the joint of the big toe will be deformed. Whenever you stand and walk, the gravity will accrue to the joint of the big toe, which can cause pain at the joint. In addition, because the lump collides with footwear, the skin at the big toe will be rubbed and inflamed . What Are Common Causes Of Bunions On Feet? A bunion occurs as a result of a problem with your big toe called hallux valgus. Hallux means big toe and valgus meaning it is outward facing the other toes. In the hallux valgus bones at your feet at the base of your big toe, called the first bones of the foot, move out on the side of your foot  . Leg problems usually develop in early adulthood. Bunion usually develops in older people when the body gets aging. This makes the joints in your toes unreactive and resilient. Illness and eating: Bunions are lumps forming outside the big toe. These lumps are actually salt dregs. Salt dregs are caused by influenza, gout, tonsillitis, poor metabolism, poor nutrition, rheumatism. Due to injury: Many people with a toe injury also cause the toes to become deformed like bunions. For many people, the big toe distortion is often familial (genetic), which can be just one of many problems due to weak foot structure. Bunions are sometimes complications of arthritis (rheumatism, joint degeneration, gout). Women are more prone to Bunions than men due to their weak foot structure. Hallux valgus affects more women than men. This may be because the ligaments in the feet (structures that connect bone together) are usually loose in women than in men. They often wear high-heeled shoes that change the natural structure of the joint causing the thumb joint deformities. If you wear uncomfortable high heels or shoes, it can push your toes toward the other toes which can make the condition of bunions worse. In addition, people with leg length differences, bunions usually form in people with long legs are easy to get a bunion. What Are Symptoms Of Bunions On Feet? Pain, swelling at the joint of the big toe is the most obvious expression of the bunions. The bunions can rub with the shoe while walking and cause inflammation of the skin to be rubbed. The second toe may feel pain from the big toe that touches and pushes the second toe. Difficulty in wearing shoes. Symptoms usually occur when you are wearing high heels or tight shoes. High heels may explain why women are more likely to have symptoms of bunions on feet than men. Besides, it can also exacerbate the symptoms of bunions. Women, older people, and athletes, or those who are heavy activities, are prone to bunions. In addition, people who have family traditions with bunions are also prone to bunions on feet. If you find yourself having signs of bunions on feet, you should see a doctor. Your doctor may also conduct tests to determine your condition. Bunion too affects your life and causes stress, discomfort. Bunions cause severe pain and inflammation. In addition to the above signs that you are suffering from other diseases, you should contact your doctor for the best treatment. Communicate your situation with your doctor so that they have complete information about your symptoms and limited treatment. Your doctor will perform X-rays to diagnose the disease and to determine the type of surgery needed to treat your specific problem. There, you have discovered some information about bunion on feet. To overcome this condition, many people come to see a doctor. 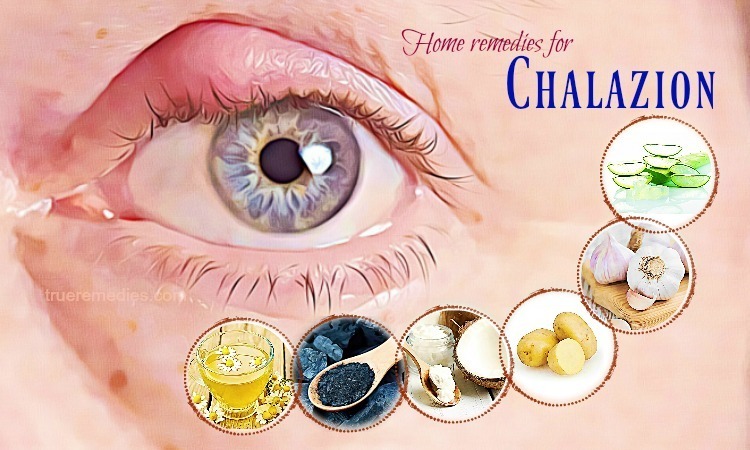 However, if you want to prevent this condition, or your condition is not too severe, you can fully apply the home remedies we will mention below. 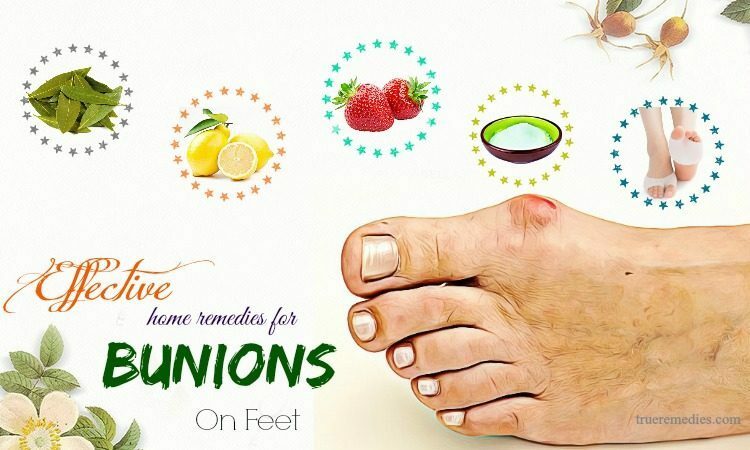 With these home remedies for bunions, you can do them at home. This is not time consuming but very effective. It is time to find out what the most effective home remedies for bunions on feet are. Take a look at TrueRemedies.com! The underlying cause of the toe deformity is genetic. Most people with ankle deformity inherit by flat feet or deflected feet which make the foot more vulnerable to the development of lumps on the big toe. Therefore, the tight shoes, pointed heels can exacerbate the condition of the disease. For high heels, the toes are forced forward, causing the pain to worsen. Thus, 90% of cases of the big toe deformity called bunion are women. The way to implement this remedy is very simple, when you have a bunion due to deformities, you can overcome by turning to more spacious shoes. In addition, you should choose soft leather shoes instead of synthetic material because it can cause foot sweat. Among home remedies for bunions, using foot pads is one of the most effective. If your shoes are not wide enough to hold lumps or lumps in the toes rub with your shoes causing inflammation, you can fix them by cover your lumps or protect the tumor from gel friction, pads. To implement this remedy, you only need to cover your big toe with a foot pads and relax after a walking. Avoid drug impregnated pads because they contain acid that can corrode the skin. For patients suffering from nerve damage or anemia, the impregnated pad is particularly harmful. This is another must-try home treatment in this list of home remedies for bunions. In addition to minimizing pain, the foot brace helps stabilize the toes and foot bones, preventing the development of u-shaped deformities. In severe cases, it is important to use a quality foot brace to shape the foot. However, with patients at low levels, it is good to use pads. The way to implement this remedy is very simple, you only need to use a foot braces to hold and shape your big toe for the time of moving. This will help reduce pain and fix your big toe. Working with the toes and leg muscles is a great way to not only help prevent bunions from forming but also to slow the development of bunions. Prepare 10 marbles, 1 bowl. You put 10 marbles on the floor which is 2 meters away from the bowl. Use your big toe and second toe to pick up marbles. Then slowly move the marbles to place into the bowl. After picking 10 marbles into the bowl, do the opposite. You use your big toe and second toe to pick up the marbles from the bowl to the floor. You can do this twice a day in the early morning and before bed. Or pull your big toes with your thumb for 10 seconds, which can also help relieve pain. Repeat this exercise several times a day. You sit down, legs stretched out, two hands on the back. Slowly lift your legs upward, hold for 30 seconds then lower down. Continue to repeat the movement, every 2 times, you should have one minute break. 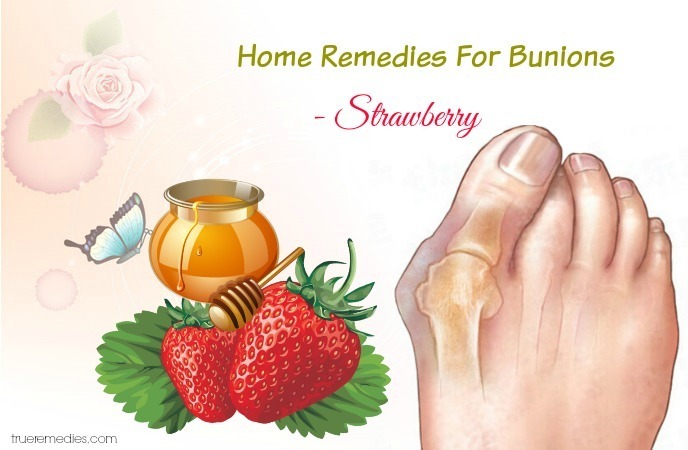 This is the last remedy in this list of home remedies for bunions. Strawberries are very rich in mineral oils, vitamins, and antioxidants, nutrients that boost your immune system from infection and disease. Strawberries can reduce the levels of C or CRP, an inflammation that occurs in the blood. High CRP levels are associated with the risk of cardiovascular diseases such as stroke and heart disease. Using strawberries to treat bunions will help boost the resistance needed for your foot joint and increase resilience. Prepare 300 grams of strawberries. Rinse strawberries and add to the blender to mash. Extract strawberry juice and use it daily before eating. Prepare 300 grams of strawberries, 3 spoons of honey. Rinse strawberries and add to grinders to grind. Extract for Strawberry juice, add honey and stir well. Colds have an anti-inflammatory effect, reducing the temperature in the joints, thereby repelling the aches and pains. When it is painful, the muscles produce more fluid, causing pressure and tension when the body moves. In this case, the cold will reduce the swelling, slowing down the transmission of information through the nerves, thereby reducing the pain. Apply cold will help eliminate thrombosis, numbness, and swelling . Whether you sit or lie, use a high pillow to lift the big toe to a higher position than your heart. This will help the blood not to accumulate in the legs and help blood circulation easily. If you have severe swelling, sit down and raise your legs for a few hours. Cover the ice with a thin cloth or paper towel and apply it on the big toe joint for 10-20 minutes. Avoid direct pressure on the skin as it can cause a burning sensation. This sounds strange when it comes to home remedies for bunions, but it works. Laurel leaves are used in medicine as analgesic and anti-inflammatory, anti-oxidant, anticonvulsant in epilepsy. Leaves of laurel and its shell contain essential oils. The parts of the plant, especially the petals, contain a glycoside called Murrayin, which in the presence of diluted and boiled acids it will be broken down into Murrayetine and glucose. Dry petal contains glucosidic scopolin. Murrayin is considered to be stimulant and toning. Laurel oil has Eucalyptol which is able to clear the airways and help relax. In addition, bay leaves work to reduce the amount of salt residue in the big toe, thereby reducing the symptoms of bunions. Use laurel leaves to dry for 2-3 days. Then put the laurel leaves in the grinder to grind into powder. Use laurel leaves powder to cover the area with bunions and leave for 2 hours. Then rinse with water. One day you should use this method 2 times. Prepare 3-4 laurel leaves, 300ml water. Rinse the laurel leaves and add the laurel leaves to the blender to mash well. Add the freshly ground laundered leaves with 300 ml of water then boil them for 30 minutes. Wait for the mixture to cool down, then use it to drink by the small sip. Split them to use several times a day. 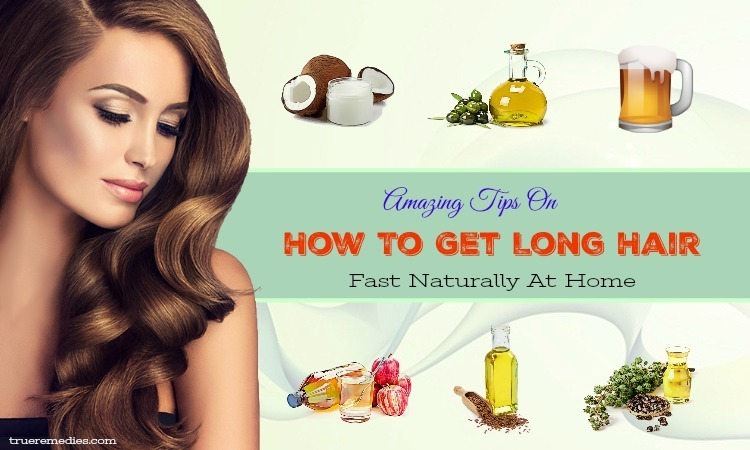 You should use this method for 3 days, then stop using it and continue to use it after 7 days. Prepare 5 laurel leaves, 100ml white wine. Rinse laurel leaves and add laurel leaves to the grinder to grind them totally. Mix alcohol and laurel leaves and leave them for 2 days. Squeeze the mixture to get the juice. Use the juice from laurel leaves and wine to soak your feet for 30 minutes. Then wash your feet with water. Salt is one of the best ingredients for body care, especially foot care because it can moisturize and exfoliate skin, reduce inflammation, itch, pain, aches, and also has antiseptic property . In the composition of the salt, there is the cation (positive) and the nation (negative) to help balance the body. Therefore, using this method as a treatment of bunions will help you to reduce the symptoms of bunions quickly. Prepare 1 liter of warm water, 10 grams of salt. Dissolve the salt in warm water to create a warm salt solution. Use warm salt water to soak your feet within 30 minutes. Then dry with a soft towel. Soak your feet once a day for 15 to 30 minutes at the appropriate time (preferably in the evening before bedtime). Do not soak your feet 30 minutes after meals as it may affect the supply of nutrients to the body. The temperature of the soaking water is less than 50 degrees Celsius. Soaking water temperature too high not only causes leg damage but also causes the blood vessels of the feet to expand, affecting the circulation of blood. Do not soak your feet for too long. It is best to keep your feet only for 25 to 30 minutes. If you soak your feet for too long, your blood will flow down affecting the circulation of blood in the heart and brain. In the winter if soaked feet too long can lead to dry skin, rash skin itching. When soaking, soak your ankles, about 2cm on the fish’s ankles. This is the principle that must be adhered to for this remedy to work. Soak your feet frequently every day. After soaking, always use a dry towel to clean. In the winter, immediately warm. This is one of the little-known home remedies for bunions. Lemon contains many minerals for the body such as vitamin C, vitamin B group pectin, antioxidants, potassium, and calcium. Lemon contains citric acid and vitamin C exfoliates dead skin cells naturally, new skin regeneration and dark areas. Using lemon as a treatment of bunion is very effective because it helps to restore your big toe quickly. Prepare 2-3 lemons, 2 tablespoons olive oil, 200 ml water and ¼ cup milk. Squeeze lemon to obtain lemon juice. Mix lemon juice with olive oil and milk together. Heat this mixture to 50 degrees. Use the mixture to soak for 20 minutes.Then dry your feet with a soft cloth. Prepare two cups brown sugar with about a quarter cup of olive oil, 1 tablespoon of lemon oil. Mix the mixture of sugar, olive oil, and lemon essential oil together then stir well. Rub this mixture into your toe after soaking your feet. Leave for 20 minutes then rinse with clean water. 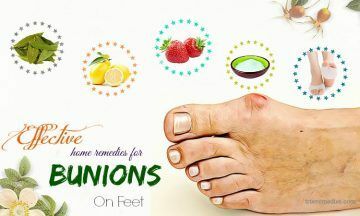 When it comes to natural home remedies for bunions, this option is actually not natural but it is still used by some people for temporary effects. Non-steroidal anti-inflammatory drugs (NSAIDs) such as acetaminophen, ibuprofen or naproxen can control the pain caused by the bunion. In severe cases, patients receiving Cortisone injections in the joint may be relieved of pain and discomfort, but only temporarily. The way to implement this remedy is very simple. You only need to use anti-inflammatory drugs at low doses to ensure fast recovery for your toes.